Energy curtains are incredibly beneficial during the colder months when growers want to save on the energy and heating costs, but did you know that a properly installed curtain system can provide just as many benefits during the spring and summer months? 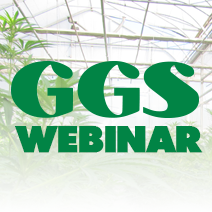 On a sunny day during the warmer months, it doesn’t take long for the sun’s radiant energy to build up in a greenhouse, quickly raising the temperature far beyond what’s desired for most crops. An interior curtain system will reduce indoor light intensity as well as assist in controlling the indoor temperature during the day. They can be closed when the light is too intense, or opened on an overcast day. The ability to open and close the curtains as necessary increases the fraction of the day when ideal light levels are available for your plants. A flexible curtain system is a cost-effective way of creating an ideal environment for your plants and can be customized for each zone in your greenhouse depending on the needs of each crop. Greenhouse shade curtains can be used in conjunction with your roof vents to balance the humidity inside. Having your vents open with the curtains closed allows some fresh, cooler air while still having a barrier that prevents too much cold air from hitting the crop. If the humidity is too high in the greenhouse, you can also open the curtains slightly as well as the vents to lower the humidity inside. Curtains can also be used in conjunction with your greenhouse heating system. In the summer, the humidity buildup can be problematic in the morning, but turning up the under bench heat while opening shading and vents will get rid of the humidity quickly. 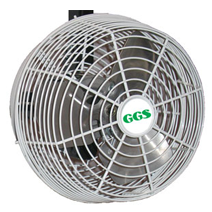 Once the humidity is manageable, the shading and venting is returned to automatic. Learning how to use your shade curtains in conjunction with your roof vents, heating system and as a part of your total environmental control will ensure your crop is benefitting from an ideal environment and can save you on energy costs. Did you know that shade curtains have the potential to decrease your water use? When your shade system is working in conjunction with your irrigation system, it can actually reduce your crops’ needs for water uptake. With strict regulations and drought controls in place in many regions, growers should do all they can to obtain maximum value from their water resources. 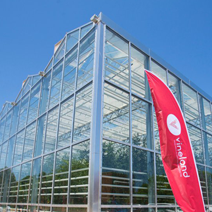 Talk to an expert to see how greenhouse shade curtains can help you achieve lower water consumption. Your crops will see the most benefit from your curtains during the spring and summer months if they’re controlled by a central environmental computer. Automating your shade curtains is important not only because they control the amount of natural sunlight that’s allowed into the greenhouse, but because they affect other environmental conditions including, lighting, temperature, airflow and humidity. This can be a lot to keep track of when you’re only using a manual or semi-automatic system. A fully automated system will provide peace of mind that your curtains are providing your plants with their ideal environment. We recommend that you review your controls over as many seasons as possible, keeping track of previous tendencies throughout the spring and summer to determine your parameters for the current season. An automated system will make things easier but it’s equally important that you avoid becoming complacent with the parameters you have set. A day in June can be drastically different from a day in July, so it’s important that you’re paying constant attention to your controls and making the necessary changes to avoid negative effects on your crops and wasting energy. 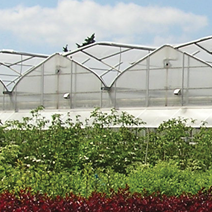 Do you have questions about how a greenhouse curtain system could benefit you? 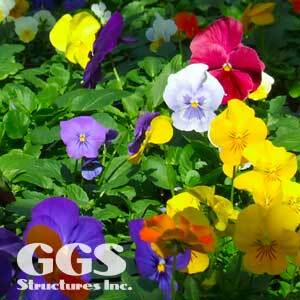 Contact the experts at GGS today. Duane Van Alstine has been in the horticulture industry for 20 years. He started as a labourer in a Kalancho Greenhouse, then was the head grower, and eventually the Operations Manager of a 380,000 square foot facility. In 2011 Duane left the greenhouse to take on Special Projects for GGS Structures Inc., and was later promoted to Manager of Niagrow Systems Ltd. North America’s leading greenhouse heating engineering design firm.